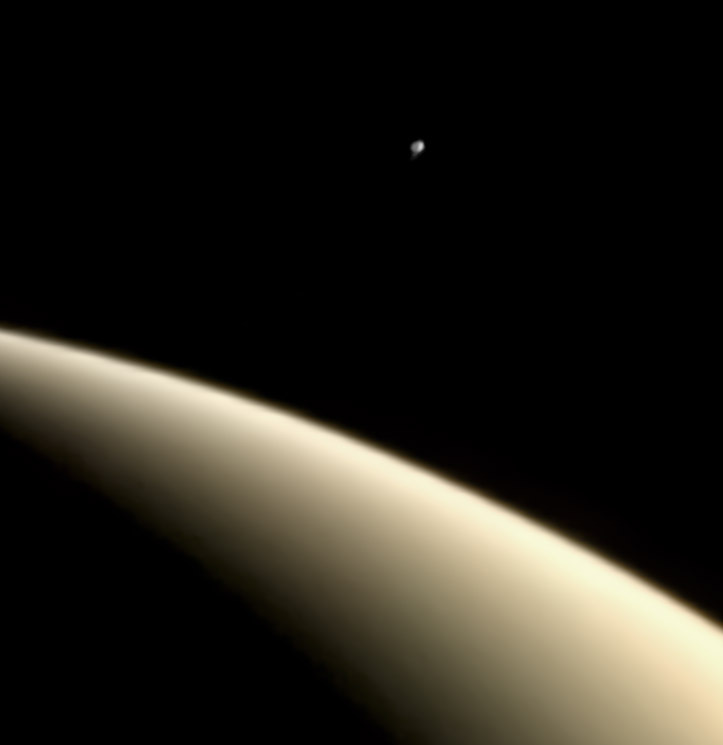 From the moment I first found out about the discovery of geysers erupting into space by NASA's Cassini mission, I began to wonder whether they had been detected before. Pioneer data is of insufficient quality to detect them, but Voyager definitely could have. I carefully examined all of the images targeting Enceladus, but the illumination angle wasn't ideal (very high phase, or backlit, images are best for this, but none of the available images were taken at such an angle). I came up empty handed and dropped project. 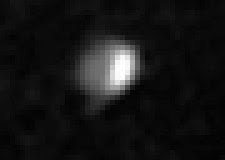 Flash forward to the New Horizons Pluto encounter in the summer of 2015. I was sitting in a plenary meeting and the high phase images of Pluto's atmosphere were being discussed for the first time. Later in the meeting, someone asked a question about serendipitous images that might contain Pluto's small moons. The next talk was particle and fields stuff that I didn't really understand, so my mind wandered, and it clicked - maybe Enceladus made a serendipitous appearance in some high phase Saturn images. In the fall of 2016, I finally found time to work on this. While Voyager 2 had the better camera, due to a spacecraft anomaly, it was not taking pictures during the first few days after closest approach, so after a check to see if there was anything from right after it was recovered, I moved on to Voyager 1. I experimented with some imagery from a few days out to get familiar with its cameras under these conditions before beginning in earnest. 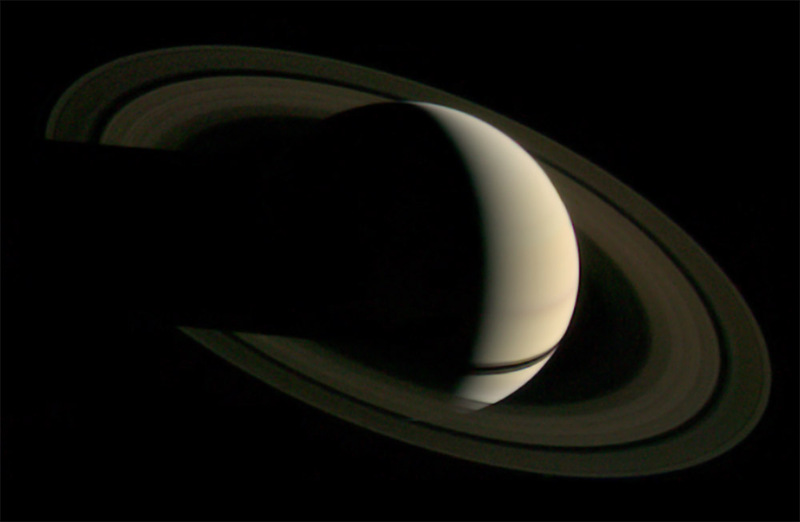 This image of Saturn came from this effort. As I searched through the dataset, a group of images stood out. They were taken on November 13, 1980, a day after closest approach. 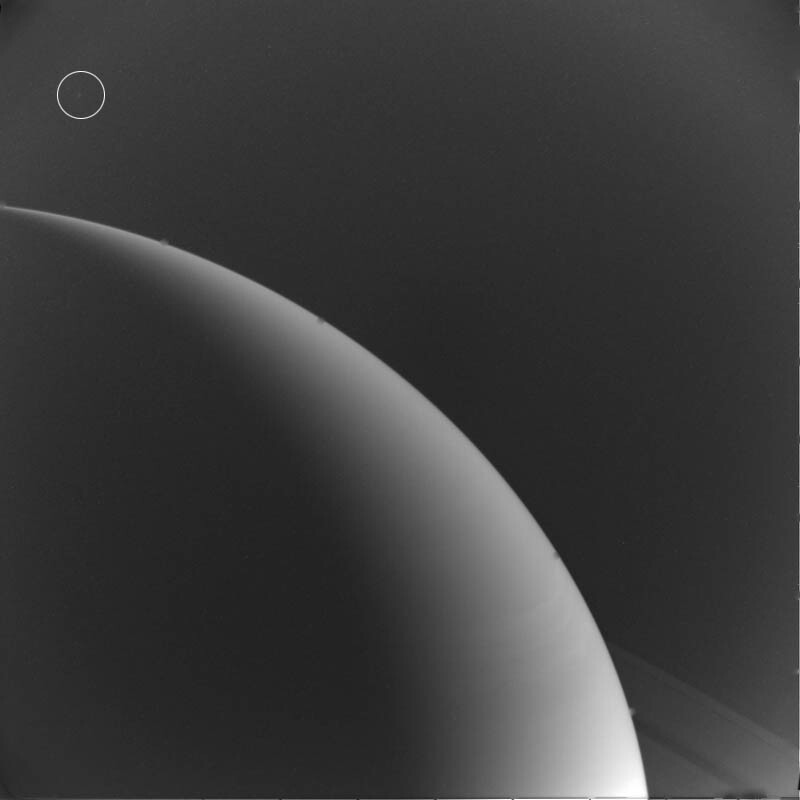 None of the Narrow Angle Camera images contained Enceladus, but eight of the Wide Angle Camera images did. They showed the small crescent and night time hemisphere illuminated in Saturnshine as only a few pixels across. I thoroughly calibrated, deconvolved, and stacked the images. After combining different subsets as well as the full set, I am confident in the detection of the plumes, just where they should be. In my excitement at having at last had some success with this project,I quickly wrote an Lunar and Planetary Science Conference abstract, which can be read here. It gives more detail about how this dataset was handled. I plan to continue sifting through images to see if there are other datasets worth processing in that way. I plan to do similar work with other worlds as well. At the very least, this indicates Enceladus is indeed constantly erupting, extending the baseline back more than two decades. Hi Ted. You are doing an incredible amazing work with all those images, but what I appreciate more is your capacity of wonder and imagination. You make us keep dreaming. Wow, thank you so much. That motivates me to do more work. Thank you! Wow! I really appreciate your kind words. It has been a thrill to finally be seeing the wonderful JunoCam images (it is my understanding that you were instrumental in its development) and I'm sure you're looking forward to TGO arriving in its proper orbit!